We missed the boat with the first round of Ansuz cables, but arrived nice and early for the D2 series. 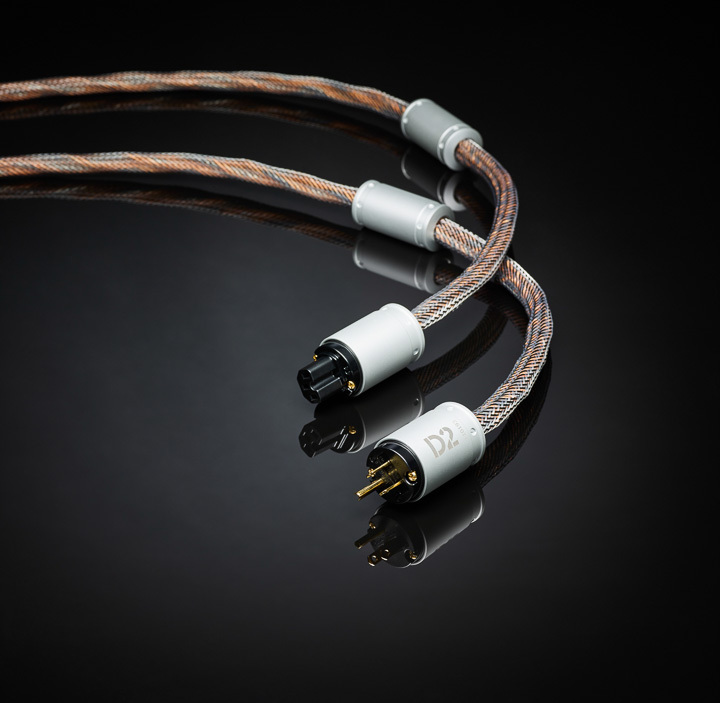 Replacing POM, Aluminium, Ceramic, and Diamond respectively, the P2, A2, C2, and D2 lines form the main thrust of Ansuz cable lines, with X-Series as the most affordable line, and D-TC as the absolute cost-no-object range. We tried D2 as a complete family, from mains lead through line-level interconnect and digital cables right through to speaker cables. We also included the new Mainz8 D power distributor for good measure, but this will be the subject of a later review. Ansuz takes a slightly different line to many cable brands. The metallurgy, dielectric, and most other technical specifications normally used to describe a cable are considered unimportant. Instead, the performance is defined the way it should be in audio… through direct audition. OK, so each successive step up the ladder is marked by bigger and more elegantly woven sheathes around the cables – and in the case of D2 specifically, an oval-shaped, inline box sitting along the conductor of the signal cables – but the proof is in the listening. This makes life a little hard on the person describing the product – “it could be vibranium-coated unobtanium, floating on a bed of dilithium crystals for all I know” – but it makes for a more honest approach in the listening room, as there’s no ‘all the nines’ cable purity arguments to be made. Ansuz is not entirely without its features, however. All the plugs and housings are custom made, and – like its predecessors – D2 features what Ansuz calls DGC and DIHC technology. The former is short for ‘Direct Ground Connector Technology’ which features a central conductor ground, said to be the best way to run a ground connection for components. Meanwhile, DIHC stands for ‘Double Inverted Helix Coil technology’, and this means the winding of the conductors in the cable features two helical layouts, running in reversed directions, which is said to lower inductance even more than a single helix or ‘rope’ lay. The new cables also bring ‘AARC’ to the fore. Short for Ansuz Advanced Resonance Control, this is a new technology developed by Michael Børresen. Any length of cable will tend to act as an antenna, which resonates in specific frequencies determined by the cable’s length. These unwanted effects will always have an influence on the signal transmitted in the cable, but with AARC technology, claims Børresen, Ansuz is are able to remove these distortions, resulting in a clearer and more dynamic signal. What this mystery technology is, and how it works remain cloaked in secrecy.